Rabbi Levi Yitzhak Bender, zt’l was the leader of the previous generation of Breslov chassidim. 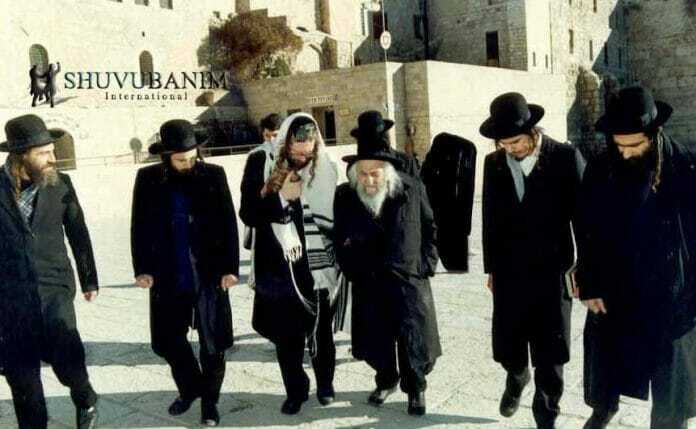 He passed away in 1989, and handed over the mantle of leadership to the still relatively young outsider, Rabbi Eliezer Berland, shlita, igniting a storm of controversy that has continued to blow even into 2017. Because, as also on Tisha B’Av, we don’t don our tefillin until it’s almost sunset ‘as like tefillin are sandals’. Because sandals, which are ‘the footsteps of Leah’ are changed into the ‘crown of Rachel’, and when we don’t don tefillin, we also don’t ‘wear sandals’, because the sandal is the secret of geula (redemption) and of the transition… and the tzaddikim, they are the ‘sandals’ of the Shechina (Hashem’s Divine presence). And thus, they sold ‘their brother for a pair of shoes’, because the 10 tribes wanted to be the sandals of the Shechina, as per the secret ‘a seal within a seal’. [In gematria] Rabbi Levi Yitzhak = seal (חותם) = 454. Because all the argument between the brothers was over who would merit to be the sandals of the Shechina, because Rabbi Levi Yitzhak merited to be the sandals of the holy Shechina, as explained by the holy Shlah, in parshat Chayei Sara. [There he explains how] Eliyahu Hanavi and Hanoch merited to be the ‘sandals’ of the holy Shechina. Hanoch, [who became] the angel Metatron, and Eliyahu [who became] the angel Sandalfon, and thus the secret of canfei nesharim (the eagle’s wings) = 600 = Metatron and Sandalfon, the same gematria as tzitzit = 600. The gematria of ‘Eliyahu HaNavi Sandalfon’ = El maaleh rachamim (God who is full of mercy) = 400. Because Rabbi Levi Yitzchak was from the aspect of canfei nesharim, in terms of his unlimited dvekut (spiritual attachment) to Hashem yitborach, and nothing in the world could prevent his wonderful dvekut, that continued the whole 24 hours [of the day], in fulfillment of [the verse]: “I keep Hashem before me, always”; without any diversion of daat (spiritual awareness), God forbid. Even when he was sitting in prison in Uman, he didn’t experience any diversion of daat, God forbid, from the moment he entered the prison on the first day of [the week corresponding to] Parshat Vayeira, until he left on the eve of the holy Shabbat of Parshat Zachor. His spiritual awareness of the holy Shechina wasn’t diverted at all, and he mamash merited to fulfill the verse: ‘when will I come and see the face of Hashem’ – to see the holy Shechina face-to-face. To such a point that his wife dreamt that all the Tzaddikim of Tiberius where trying very hard to help him, and were tearing the Heavens apart on his behalf. When [Rabbi Levi Yitzhak] returned to Rabbi Moshe Kolikov [after being imprisoned] at 2am, after the apparatchik in Kiev told him to return to the prison, Rabbi Kolikov told him: “See how Hashem will do an astounding miracle [for you]. You can return to the prison in peace, and nothing will happen to you.” And that’s how it was. If not for the outbreak of the First World War, who knows if that awesome meeting between Rabbi Avraham Ben Rabbi Nachman [and Rabbi Levi Yitzhak] would have occurred? From Tisha B’Av 5674 to 29th Kislev, 5678 – four years, where Rabbi Avraham Ben Rabbi Nachman used to say that he couldn’t give over a shiur (Torah lesson) if Rabbi Levi Yitzhak wasn’t present. And after that, throughout the whole year of 5696 the ‘year of difficulties’, to be in prison from Parshat Vayeira until the eve of the holy Shabbos, Shabbat Zachor, [in conditions] where no other mortal man could have withstood the test there, and yet there was no hour was ‘closed’ [to being connected to God] for him. Whoever had the merit of accompanying him on the journey to Meron, and who witnessed his terrible weeping on the grave of Rabbi Shimon Bar Yochai, which has no parallel in the whole world; and who saw his awesome dedication, day and night, 20 hours a day; and his wonderful learning sedarim (schedule) that included the Gemara, the Shulchan Aruch, the books of Rabbenu, and the other holy books, too. 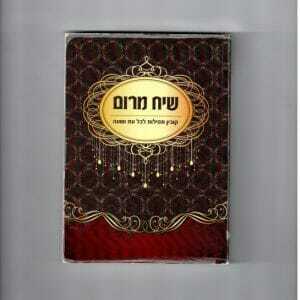 Until he merited to fulfill Torah 22 [of Likutey Moharan], the lesson that Rabbenu paid thousands of rendels for. ‘The seal within the seal’ = Rabbi Levi Yitzhak = 454, and he merited to be ‘sealed’ with the seal of the awesome Rabbenu HaKadosh, from the aspect of ‘to be sealed irrevocably with the ring of the King’. The King is the King of Kings, Hakadosh Baruch Hu, and only one person in the generation merits to be sealed with His holy and awesome seal…. 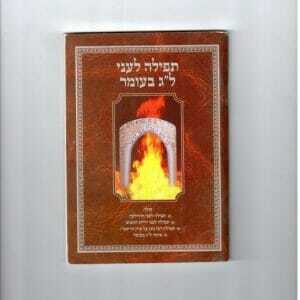 This was the entire identify of Rabbi Levi Yitzhak! With every single breath, he’d be thanking Hashem and saying this same verse: ‘Give thanks to Hashem, because His goodness endures forever.” And even when he was in prison, he didn’t stop thanking Hashem for a second, which is an aspect of the frog. Even if someone took his food, nonetheless he would say like Hanoch: ‘Blessed is His glorious name forever and ever!” Which is what Hanoch would say every time he sewed a stitch: ‘Blessed is His glorious name forever and ever.” And by doing this, he embodied the verse: ‘Strength and glory is her garb, and she laughs on the final day’. And the scorpion says [in Perek Shira] ‘Hashem is good to all, and has mercy on all of His creations’. Rav Natan explains in Likutey Halachot, Hilchot Matana, that we merit to have Moshiach dafka through the sting of the scorpion. 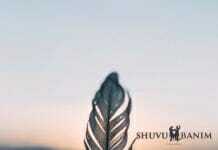 Rabbi Levi Yitzhak was from the aspect of: ‘I said you were Godly, and all of you are children of the Higher One [i.e. God].’ ‘From the shoulders upwards’ – [Rabbi Levi Yitzhak] was above all of the generation, and he always fulfilled: ‘and he shall lie in the emek (low place / depths)’ – in the depths of halacha. Day and night, all of him burned with a yearning for Hashem, and this didn’t stop for a moment or a second. 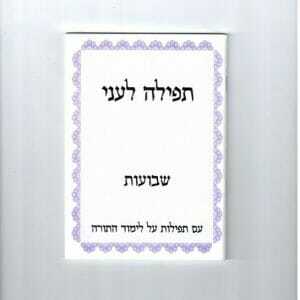 Referring to the sale of Yosef HaTzaddik, by his ten brothers. Before he finally managed to escape from the USSR after World War II to settle in Eretz Yisrael, Rabbi Levi Yitzhak had a number of dangerous encounters with the anti-religious KGB in Uman, and was imprisoned for the ‘crime’ of being a religious Jew on a number of occasions. There’s a story in the Perek Shira that the frog taught King David that he showed more gratitude even than King David himself. A line from Ayshet Chayil, the hymn praising Jewish women that is typically sung on Shabbat evening, which also alludes to the relationship between the Jewish people and Hashem.